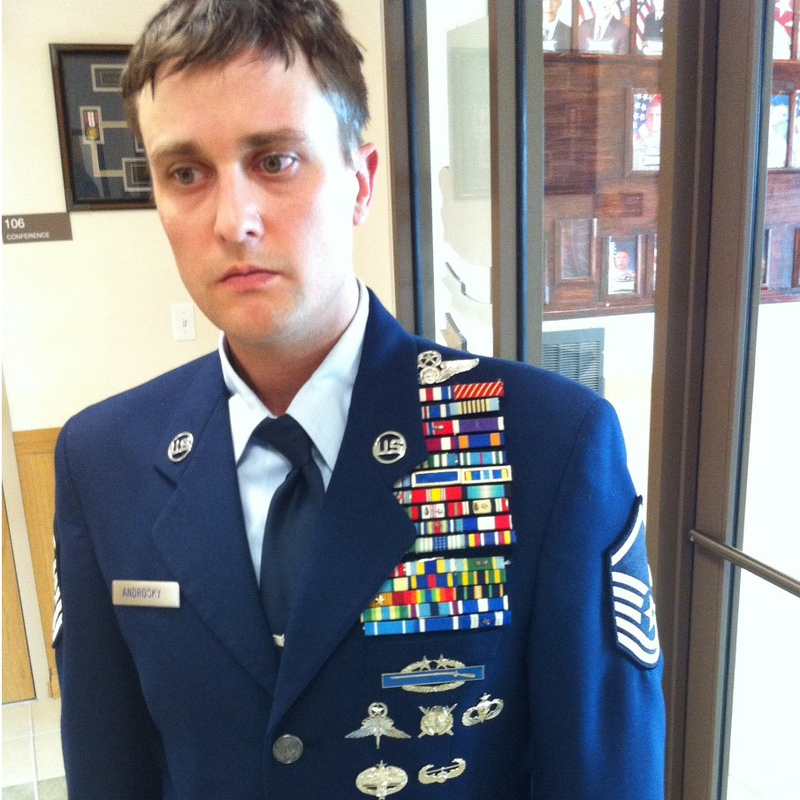 That’s pretty good above w/ the “airman” wearing command pilot wings and a CIB. He sure gets around. Too funny … have to remember that one! Love the P-38’s 30-round magazine capacity! Use to shoot all my C-rations to open them! Most common fakes to run into were with SOG and can’t talk about it. Most of these guys believe it stands for Special Operations. Guess it is what goes around comes around as so many fled the draft and now so many want to say they fought. I can’t count how many times those guys were called special operations by someone. I would always correct them Studies and Observations. Being with combat engineers we would sometimes be on a bridge project. We got to interact with them and SEALs quite often. I quite wearing any hats or tee’s saying I’m a Nam vet so I don’t have to discuss it anymore. Got an Illinois Vietnam veteran license plate on my truck and most don’t pay attention to it. How about calling out Senator Blumenthal (CT) for lying about his service in Vietnam. He is hammering Trump and others about integrity. He is not “Above the Rest” because he is a Senator. Visit his FACEBOOK page and leave a comment or write to CNN/MSNBC. I bet a number of real Vets voted for him because of his lies about his Vietnam service. I am a 1 hitch E-5 Navy Vet. ’65 to ’69. I did not go to Vietnam but I remember that painful time well. I served Honorably and supported all my brothers, especially Combat Vets and I still do. God Bless all who served. 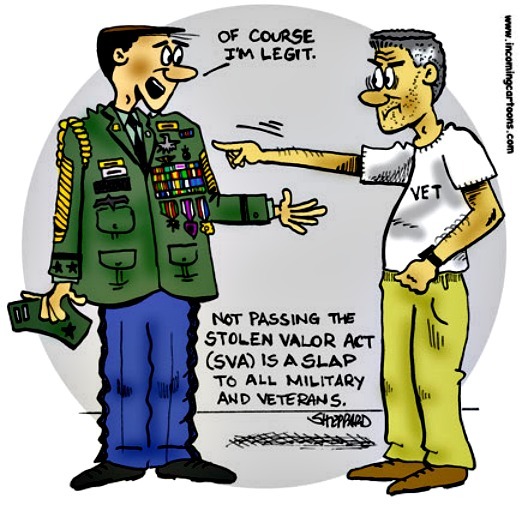 Don’t allow Stolen Valor criminals off the hook too easily, especially elected government officals, it is Federal Crime and a shameful act. Speak out. I earned 6 Air Medals and the Army Aviation Badge (Crew Wings) operating sniffer missions in the 1st Cav, 1970. I received 1Air Medal. My immediate superior, a cowardly Captain, flew one mission and drew ground fire. Asked me to fly the rest. He awarded himself 3 Air Medals and my wings!